“I hope I have the CONSTITUTIONAL RIGHT to comment on my private FB page where you have to be invited into as friends only,” wrote Police Commissioner William B. Gross. The American Civil Liberties Union of Massachusetts lashed back at Boston Police Commissioner William Gross on Sunday, after he took the unusual step of wading into a legal controversy. The ACLU chapter is among the plaintiffs in a lawsuit filed Nov. 15 in Suffolk Superior Court that seeks to force Boston police to release information about the department’s practice of labeling young men and teenagers from Central America as gang members — allegedly with often flimsy evidence — and sharing that data with federal immigration officials. 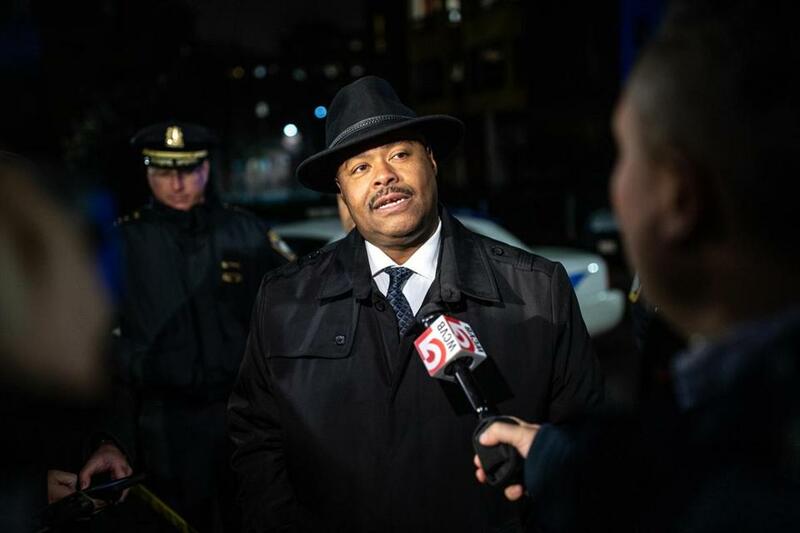 US Immigration and Customs Enforcement has used information from the department in efforts to have alleged gang members deported, despite previous declarations by Mayor Martin J. Walsh that Boston is a sanctuary city for unauthorized immigrants. A spokeswoman for Walsh declined to comment Sunday on Gross’s remarks. Police in Boston are labeling Central American teenagers and young men as gang members and sharing that information with immigration agencies, according to a lawsuit. In a statement Sunday, Carol Rose, executive director of the ACLU of Massachusetts, accused Boston police of failing to comply with the state public records law and said Gross was trying “to divert attention from the serious issues raised by an ACLU lawsuit” regarding the department’s treatment of immigrants and people of color. “In order to make Boston a safe city for all its residents, we must meaningfully address discriminatory policing, and confront the role the gang database plays in the lives of young Black and Latinx people in our city,” Rose said in the statement. 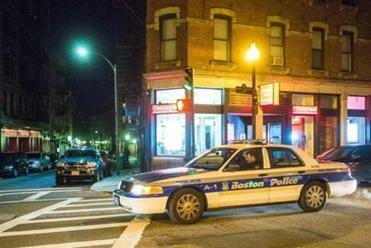 Boston police made no statement on the lawsuit when it was filed, citing a policy against discussing active litigation. On Sunday, a department spokesman also declined to speak about Gross’s posting. In Gross’s post the commissioner took the ACLU to task for not participating in a trip Gross took to El Salvador to learn about the MS-13 gang, for not being involved in the department’s anticrime programs, and for not offering support when officers are wounded or killed in the line of duty. “NO ACLU when Officers are shot, No ACLU when we help citizens, no ACLU present when we have to explain to a mother that her son or daughter was horribly murdered by gang violence,” Gross wrote. The post was visible to Gross’s Facebook friends, which number in the thousands and include journalists. Howard Friedman, a longtime Boston civil rights attorney unconnected to the ACLU lawsuit, said Gross’s posting was unlikely to affect the case because the commissioner didn’t directly address its central issue, but it was unwise to air his complaints in a public forum. “It’s the sort of thing that, if one writes it, one should not post it. It shows a hypersensitivity to criticism, a misunderstanding of the role of the ACLU,” Friedman said. Friedman said police officials elsewhere have been disciplined and even fired for inappropriate social media postings, and lashing back at critics isn’t productive. “He should be looking at criticism from whatever source to see whether there might be any truth, and what I don’t see here is any introspection,” he said. Two Boston city councilors, though, said that although the lawsuit raises important questions, they also support Gross’s right to express his feelings. Edwards said that at a City Council hearing earlier this year, Gross pledged to work with councilors to address concerns about the gang database. Gross’s job, Councilor Annissa Essaibi George said, sometimes forces him to “walk a fine line” between protecting civil rights and protecting the public from crime. His willingness to speak his mind was part of the reason he was made commissioner, she said. Globe correspondent Adam Sennott contributed to this report. Jeremy C. Fox can be reached at jeremy.fox@globe.com. John Hilliard can be reached at john.hilliard@globe.com.